The Time Machine: Late late RSD exclusives. Well its taken a bloody while, but we got a snippet of our original order for the Record Store Day releases. 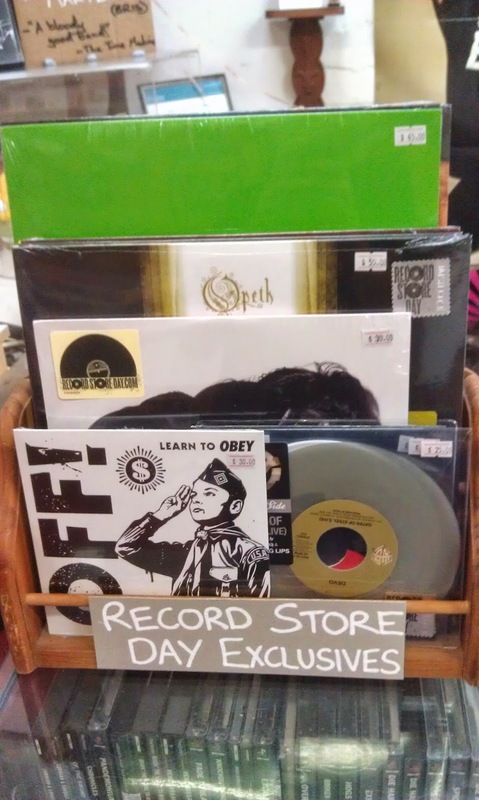 12" - Opeth, Little Dragon, Sun Records Compilation, The Best of Sub Pop (Pissed Jeans) and Ice-T.
Thats it man. Out of a huge order thats all that was left over. Frustrating to see JB Hi-Fi got their hands on more RSD releases than we did! But remember Record Store Day is about supporting the independent stores, not these releases anyways. So if you missed out on any, they're on show, don't on sell em on ebay, keep em and keep buying local/supporting independent. SATURDAY 31st MAY. TSUN @ The Time Machine.